What a great sculpt. I love this guy. The antlered helm, the raven perched on his arm, the severed hand hanging from this bag…. what?? Yeah, he’s that kind of guy. His assembly really challenged me. At first I didn’t bother to pin anything. However, his sword arm broke off while painting him so I added the pin there. It was a pretty easy pin job. The horns, however, took me about 20 minutes to attach. It felt like longer. I couldn’t figure out how they were intended to line up. Eventually, after some filing, I found a position that seemed to work well and it glued surprisingly easily. As usual, I tried to follow the studio painting scheme. The part where I winged it was the antlers. 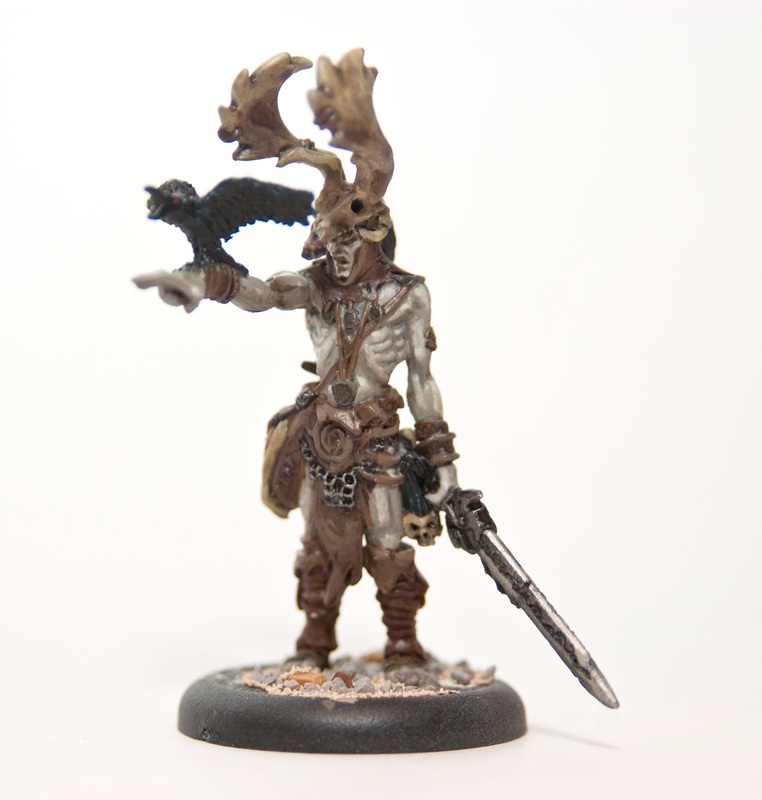 I’m not too happy with them, but overall I think he turned out okay for a tabletop standard. I’m in the midst of trying to crank out 35pts for an event in two weeks, so I don’t have much time to spare for the details.